“Let the silence do the heavy lifting.” A phrase often heard before one goes into a negotiation. I wasn’t going into a negotiation, I was going on a Medicine Walk but it seemed appropriate in the pristine setting I was about to enter to remember to “let the silence do the heavy lifting.” I chose September 29, 2017 as the day to go on my Medicine Walk for a very special reason – which will be revealed as the walk unfolds. My walk began with the Pleasure of Presence to bring me into the “here and now.” I then proceeded to Walk in Motion to immerse myself in the essence of the forest. Accompanying me on the walk were five scrolls to be opened at various times of the day. Share with this place the parts of your inner self that you need to reclaim. Is it balance, spontaneity, openness, humility, I just let my quiet mind wander. I strolled through a beautiful meadow with tall grass and lots of birds. I sat in a small clearing and after listening to the variety of chirps and caws and trying to see where they were roosting I opened the second scroll. Share with this place how you are cultivating your joy. Here I am in the midst of one of the most joyful spots I could have imagined. Amazing colors of grass, sky, clouds and birds. A technicolor of joy. And the swooshing sounds of the grass intertwined with the chirps of the birds sounded like nature’s own orchestra. The practice of Forest Bathing Guiding has helped me cultivate my joy, encouraging me to explore and notice the more-than-human-beings. As I continued on my path I heard some water sounds and as I followed the sound I noticed a small spring hidden in the tall grass. This meandering spring had carved a path for itself through the grass to a shallow drop off where it formed a small pool. I sat near the pool and watched the water ripple as the spring kept it fed. The spring and pool felt like my very own discovery and it was hard for me to leave this idyllic spot. Before I did, I opened the next scroll. Share with this place your readiness to take the next step in your life. As I was stepping away from the spring and pondering my readiness to take the next step in my life, I sat and leaned on a beautiful oak tree with vines winding their way around the trunk. It felt so sturdy and so strong and made me wonder about my sturdiness and strength as I moved forward in my practice. There is so much to learn, much of it very edgy, lots of reading, exploring strange new places and meeting strangers with ideas very different from mine. Was I ready I asked the tree and then as I looked closer and realized how old the tree was I wondered about all the strange experiences it had encountered and how strong and sturdy it was…I guess the tree chose me to share just that lesson. Share with this place what you can offer to your People and Place. As I left the wonderful old growth oak tree standing tall with other trees like itself I thought about the strong people in my world from the time I was a child to now. These were the people I have always called my “tall trees”, the very special people in my life who raised me, whether family, friends, teachers or even strangers like the Native American Shaman I met when I sat on a rock in the mountains around Sedona, Arizona. He taught me the important lesson of balance that mountains teach the world as they balance calm and chaotic energy. The place of Nature that I am in is one of beauty and peace, a place I hope to find over and over again. Following each scroll reading I wandered and pondered the message of the scroll and my expressions of gratitude. This was a time for reconnection. What about me was revealed in the mirror of nature? Did the walk reflect the signs and symbols of my inward quest? Was I open to the signs? Did I use my intuition; did I use my senses and allow the sights, sounds and feelings to come to me? I found objects that represented important insights and teachings from my walk. Some I chose to bring home. My walk included one very important component – I fasted. Fasting helped me to open my body and clear my mind to better focus on the world around me. It also allowed me to tune into my inner process. I did bring water on my walk. Fasting is an element of another important tradition I observe. Yom Kippur. 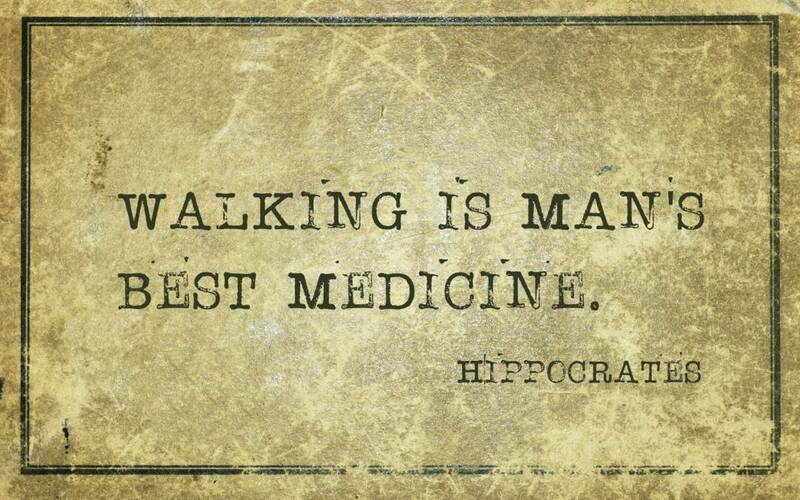 I chose to do my Medicine Walk on Yom Kippur September 29, 5778 in the Jewish calendar. This is one of the most important holidays of the Jewish Year. It is a time to refrain from work, fast (for approximately 24 hours from sundown to sundown) and recalculate. It is on this day that I look at the decisions made in my life and ask…have I made a wrong turn, am I headed in the wrong direction and where do I want to be headed? There are many people like me, who have practices very much like the Medicine Walk. Personal practices in which people leave their homes to seek guidance and healing in the natural world, away from contact with other people. Native Americans, Asians, Africans, Europeans and other cultures around the world use their version of the Medicine Walk to reclaim their own relationship with themselves and their place. At sundown I had a tea ceremony and read my last scroll. I asked the land to join me in gratitude for all the people that tend to its needs and enjoy its beauty and I thanked Mother Earth, the nurturer of the plants and trees that supply us with material for shelter, food, clothing and medicine and then my walk came to an end. I stepped over my threshold of leaves, my Threshold of Incorporation and into my New Beginnings leaving my Ally Stones behind. How Can Nature Help Support Happiness In Pursuit Of Our Goals?